Many ferrets eat only the best morsels of food. Thus, there is the risk that these do not consume the necessary nutrients necessary for life. With Complete is prevented this problem. Because the food is worked by means of a special process. Each piece contains all the necessary nutrients, as well as vitamins, minerals, amino acids and proteins. Animal proteins and fats in Complete come from the chicken and the fish. By the way the ferrets love the taste typical of the chicken meat. Ferrets are animals that are carnivores, therefore they have a need of high nutrients of animal origin. Your food requires a protein content (36 %) and fat content (19 %), which are contained in Complete. Taurine is an amino acid azufroso that contains substances origin animal. Taurine plays an important role in cardiac function. Why put an extra portion of taurine in the food. Thanks to the special use of natural fibres reduces the risk of formation of balls of hair. 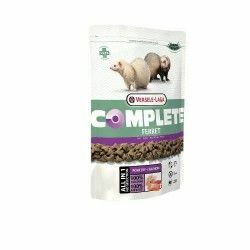 Ferrets have ongoing problems with tartar. This is why it is necessary for them to consume fibers. Complete ensures the mechanical cleaning of the teeth. 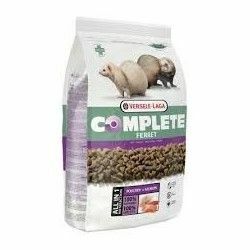 Description: Versele Laga Ferret Complete is a tasty food and very complete for ferrets feed extruded 100% that facilitates digestion. 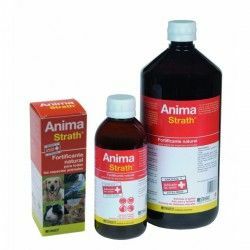 Without grain and protein of animal origin.